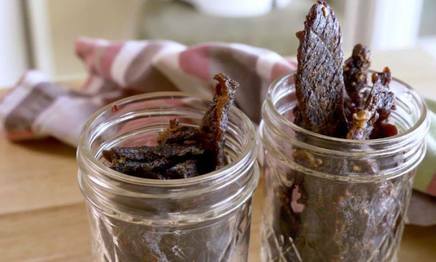 Making beef jerky is shockingly easy; it just takes a dehydrator and some patience (though you can use an oven in a pinch). The beauty of making your own jerky – besides the fact that it’ll be way more tender, flavorful and natural tasting than anything you find at the store – is that there are infinite flavors to experiment with. Here are two great recipes to start with – one for Asian-style jerky and another for Southwestern BBQ. This jerky will only last for about a week in a Ziploc bag or mason jar, but good luck going that long without eating it all.